The book was entertaining and hard to put away. Not a life changing work, and not one I am likely to read repeatedly, but I am tempted to get the rest of the series. The Kindle version had some clerical errors; I see this a lot lately. Not enough to change the verdict, but may I recommend getting a retired English teacher to look through your manuscripts before publishing? For us with some interest in Alternate History, the book is a welcome break with the obsession with "What if Nazi Germany won WW2?" 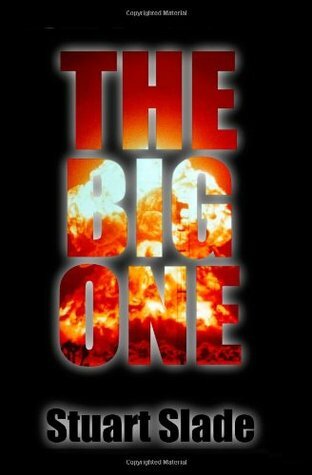 The Big One offers a perhaps more realistic scenario, one in which the war drags out long enough to fall definitely within the Atomic Age, to that giddy moment in time before Mutually Assured Destruction, when there was only Assured Destruction and America alone held that power. Could it have happened? Could America really have bombed a white nation back to the Stone Age, killing tens of millions of people? The book describes a world where this happens, and the ordinary people in it are no different from here. The big decisions are made by people behind big desks, thinking coldly and practically about what is best for their own country. Well worth reading, I think. I was drawn to this book after reading The Salvation Wars online, and I really enjoy the author's style and his sense of humor.I don't read a lot of speculative fiction, but I found this book to be interesting and entertaining. It was like reading a book about World War II, but still getting to be surprised by the plot.I agree with most of the other reviews, that the book was in need of a good editor. I didn't find the errors that distracting, however and thought that The Big One was a very good read. I have really enjoyed ALL of Stuart"s Big One Universe series. In 1940 Lord Halifax replaces Churchill as PM. Britain is occupied, the Royal Navy escapes, and America, allied to a now Non-Soviet Russia must fight on alone. Until in 1948 SAC launches "The Big One" I will not tell you what "the Big One" is as I don't want to spoil the surprise, but just a hint, look up Convair B-36 on Google!